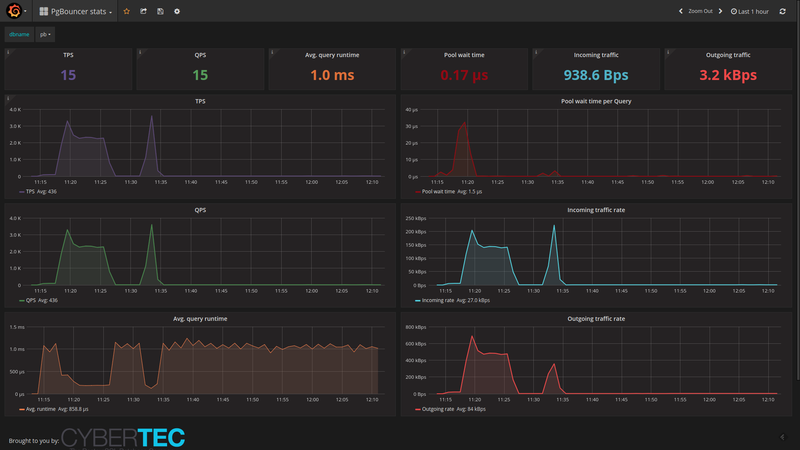 Beginning of the year happens to be luckily somewhat slow at customers, so last couple of weeks I’ve had the chance to work on our Open Source PostgreSQL monitoring tool called pgwatch2 and implement some stuff that was in the queue. Changes include only a couple of fixes and a lot of new features… so hell, I’m calling it “Feature Pack 3″… as we’ve had some bigger additions in the past also. Read on for a more detailed overview on the most important new stuff. Focus word this time could be “Enterprise”. 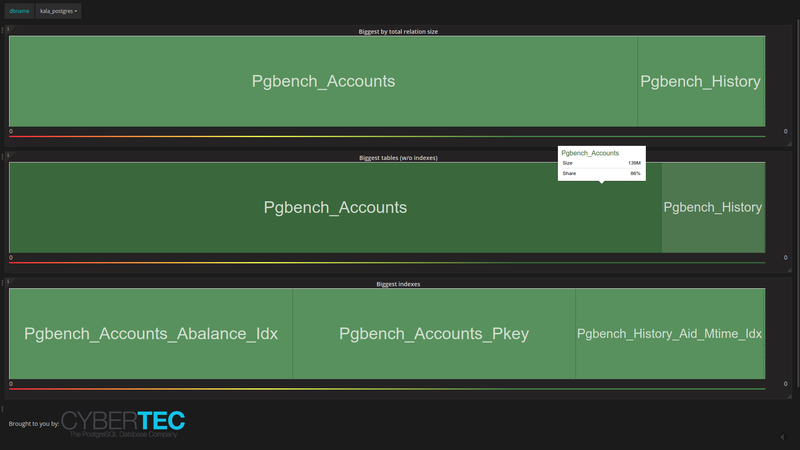 Meaning – firstly trying to make pgwatch2 easier to deploy for larger companies who maybe need to think about security or container orchestration and secondly also adding robustness. Security even got some special attention – now there’s a pgwatch2 version suitable for running on OpenShift, i.e. Docker process runs under an unprivileged user. But there are also quite some new dashboards (see screenshots at the end), like the long-awaited “Top N queries”, that should delight all “standard” users and also some other smaller UI improvements. And please do let us know on Github if you’re still missing something in the tool or are having difficulties with something – I think myself I’ve lost the ability to look at the tool with beginner eyes. Thus – any feedback would be highly appreciated! Version 1.3 full changelog – here. Suitable for example for OpenShift deployments. Using volumes was of course also possible before, but people didn’t seem to think about it, so now it’s more explicit. Volumes helps a lot for long term Docker deployments as it makes updating to new image versions quite easy compared to dump/restore. These can be used to do some advanced orchestrated setups. See the “docker” folder for details. There are also latest images available on Docker Hub, but it’s meant more for DIY still. Now possible to turn off anononymous access and set admin user/password. One can now easily monitor/alert on a mix of on-prem and AWS RDS managed DBs. change for existing setups as a new “datasource type” field was introduced. Now one can see based on pg_stat_statements info, exactly which queries are the costliest (4 criterias available) over a user selected timeperiod. Lot’s of people have asked for that, so please, enjoy! Helps to visually highlight biggest tables/indexes. 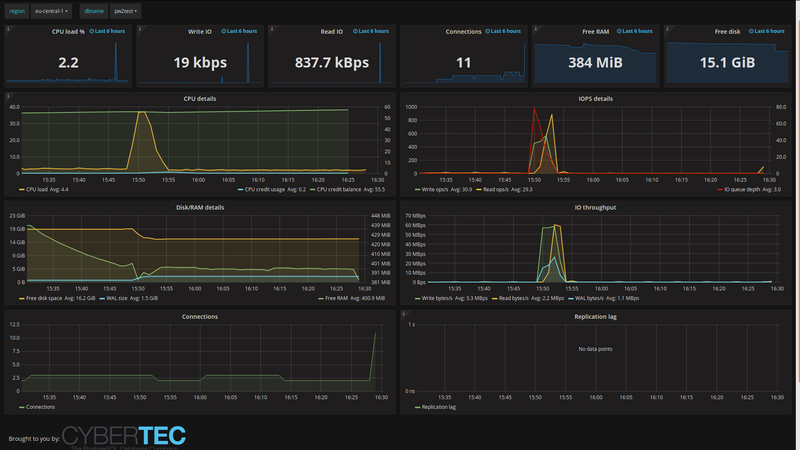 Uses a custom plugin for Grafana. Metrics gathering daemon can now store all gathered metrics in 2 independent InfluxDBs…so kind of homebrewn clustering. For real clustering one needs the commercial Influx version so be sure to check it out also if needing extra robustness, seems like a great product. Previously if Influx was down metrics were gathered and saved in daemon memory till things blew up. 100k datasets translates into ~ 2GB of RAM. Variable is called PW2_IRETENTIONDAYS. Default is 90 days.